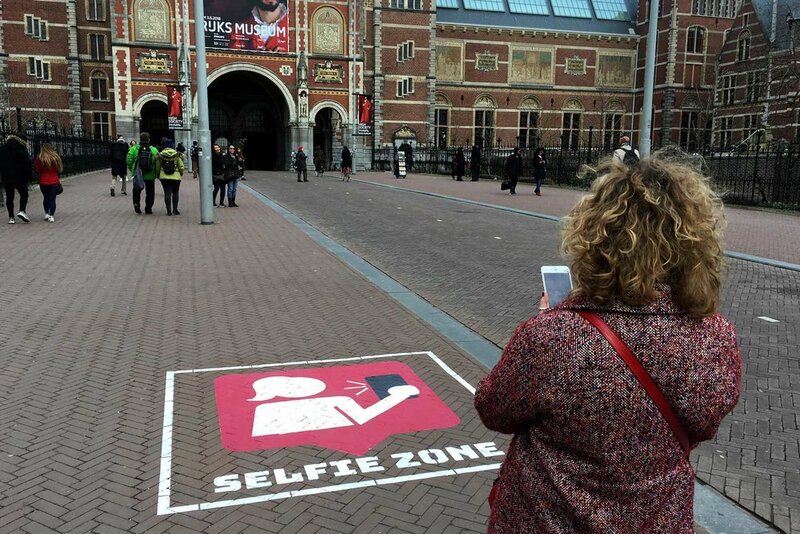 Selfie zone improves public safety near busy bike path. See case. Fiets weg campaign reduces bike parking problem on Rembrandtplein by 90% in just two weeks. 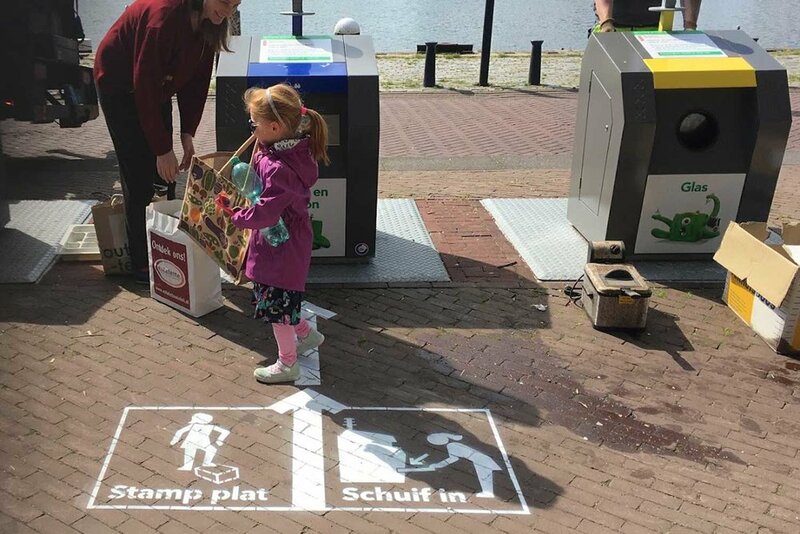 Stamp plat, schuif in campaign generates public awareness about modified carton containers. Natural Media Experts is an Amsterdam based, natural-media company that works with municipalities to produce affordable urban communication campaigns that have a high impact on the audience while having a low impact on the environment. We offer a Full LifeCycle Service plan (print, maintain and clean away) to insure that print quality matches the high standards of municipalities. Natural Media Experts offers a wide variety of natural-media techniques that are temporary, flexible and affordable. We specialise in natural-media but sometimes prints need to last for long periods of time so we also use semi-permanent and permanent media. These media are not are not as eco-friendly as natural media materials are. Urban media are highly targetable and can be printed on almost any surface making sure your message is reaching the right people at the right place at the right time.